A month ago, most students were either getting ready for the upcoming school year or spending their days tanning and enjoying summer’s final moments of relaxation. 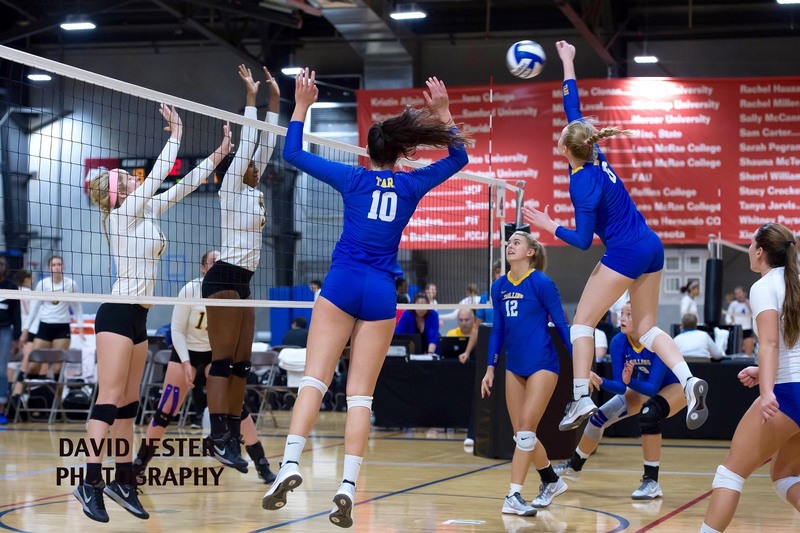 For the Rollins volleyball team, it was a very different story. So far the team is 2-6 with 28 sets and an .111% hitting average. The girls hope to improve last year’s record of 9-18. The Sunshine State Conference preseason poll predicted the team to place ninth this season. Seven seniors have since graduated from the Tars and five new players have been added. Seniors Sam Schlesman (19’), Kerra Tirado (19’), and the aforementioned Fletcher are now leaders hoping to get an invitation to the NCAA tournament. Fletcher leads the team this season with 64 kills and a hitting average of .114%. She has been playing volleyball for ten years, six of those at the club level. “It is one of those things that you want to consistently get better at but definitely has its highs and lows,” she said. To build on this cultural focus, the team now takes part in servant leadership, where the seniors are expected to do the usual grunt work instead of the freshmen. The idea is to “reverse the pyramid and allow freshman to feel equal to the rest of the team,” Driscoll said. The Athletics Department and trainers also contribute to the community spirit of the volleyball team, whether it is through a good luck email or by addressing a more serious problem. Coach Mika Robinson is back for her third season at the helm. Fletcher acknowledged that her coach wants the players-coach dynamic to be communicative. Robinson “tries very hard to build those relationships,” she said. “Something, most people, don’t realize is that Mika truly cares for her athletes… Yes volleyball is one of her main concerns, but she cares more about the people than about athletic ability,” Fletcher said. The Tars’ next home game is Saturday, Sept. 15 against Eckerd College at the Alfond Sports Center. The match is marketed as a Colorful and Courageous Game, and crayons and coloring books will be donated for children with pediatric cancer, while the Tars will be sporting tie-dye.